Phone Client Update: “100% sleep efficiency! woo! Before this I was getting ready to have a sleep study done. I was pretty sure I didn’t have sleep apnea, but…..I wasn’t sleeping. 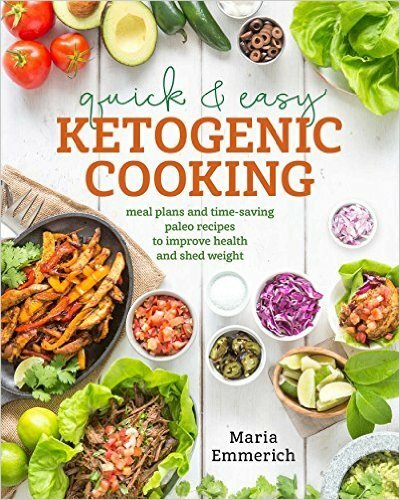 Then I started the Keto diet and supplement advice from Maria. Thank you, Maria! I am so happy and I couldn’t have done it without your help. I know because I had tried everything everyone else recommended and while there was improvement I still didn’t sleep enough and went through my days tired. Now I have plenty of energy to get through the entire day, and then some, but I still sleep really well. And I lost another pound yesterday! Here is a photo of her sleep application she sent me! She used THIS device for tracking sleep. I just emailed a phone client about her blood test results. 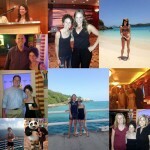 To her doctor all her thyroid numbers were “normal”… but to me they were NOT. It can be triggered by ongoing chronic physical or emotional stress, adrenal fatigue, low ferritin (stored iron) levels, acute illness and injury, and chronic disease, among other factors. 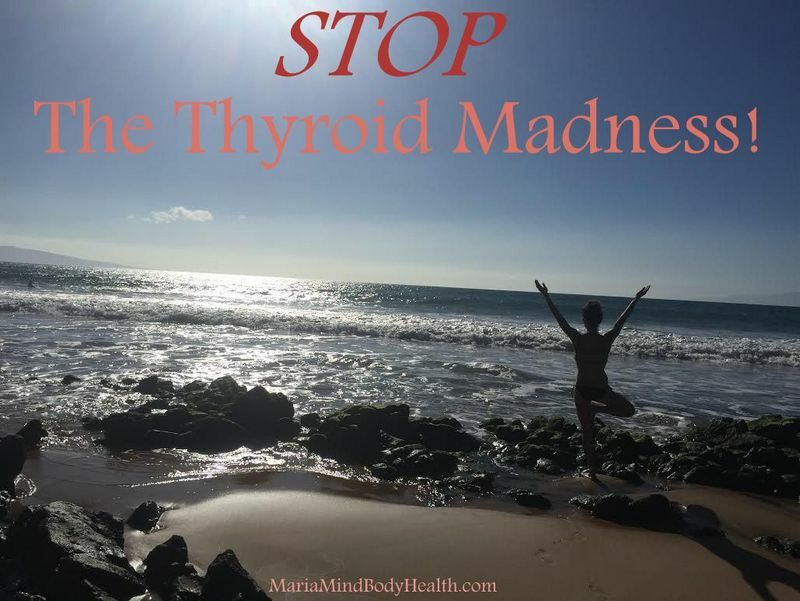 I’d be honored to help you on your path to solving the thyroid madness! 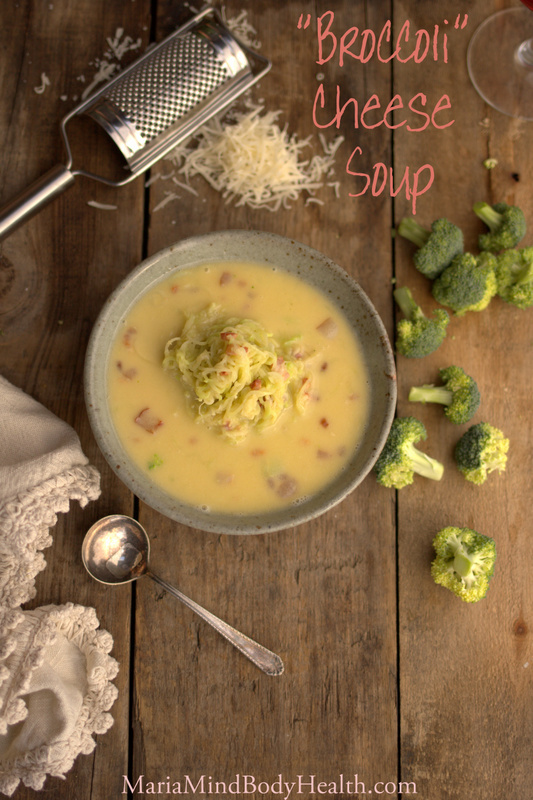 As I was thinking about how much I love making noodles from veggies with my Spiralizer, I thought about making a carbonara, which I did but I had extra broccoli “noodles” and thought, “what is your favorite broccoli recipe?”…. 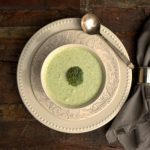 BROCCOLI CHEESE SOUP! 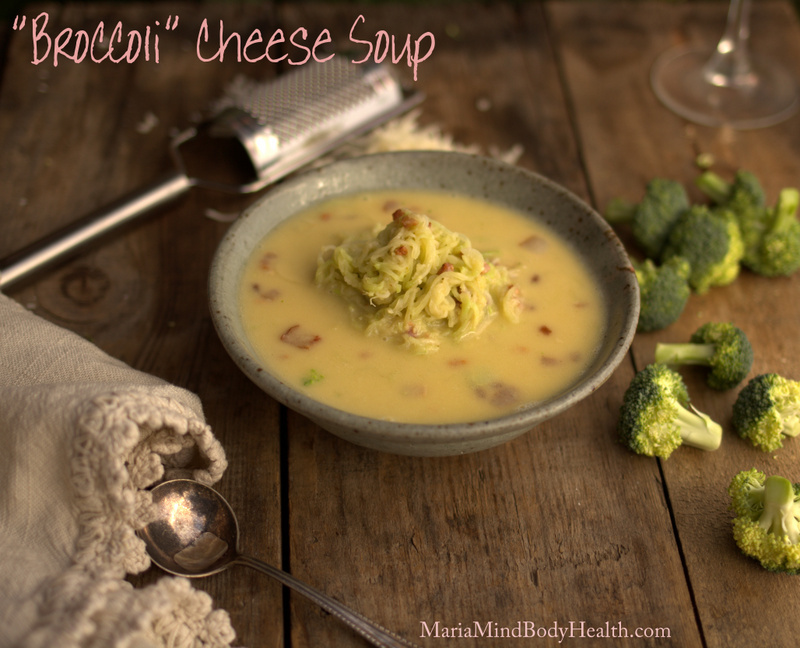 I adore that soup and I adore noodles in soup so I combined the two in this recipe. I spiralized the broccoli stem to make noodles for the broccoli part instead of using floweretes of broccoli. 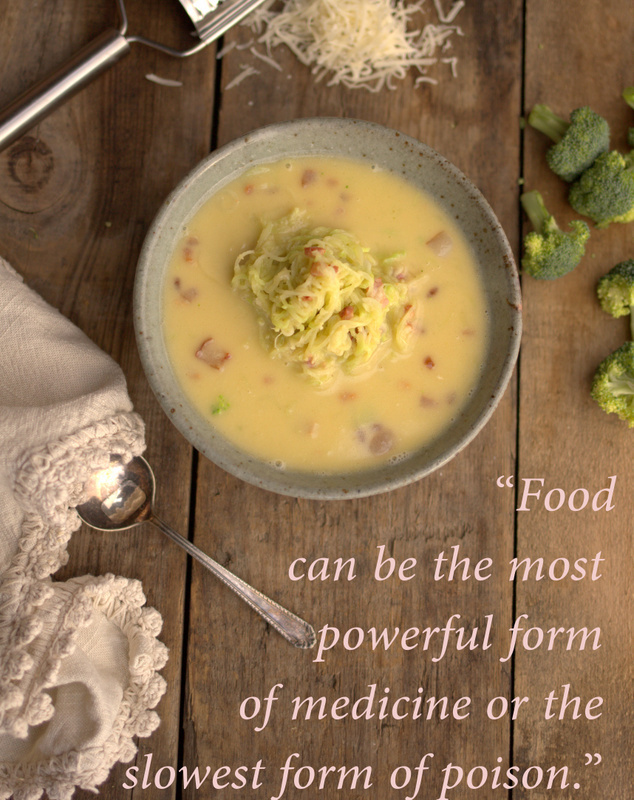 The broccoli stem or stalk, is low in calories and as nutrient-rich as its florets. In fact, one stem contains more vitamin C than a medium orange. One broccoli stem contains 32 calories vs white pasta noodles which is about 180 calories per cup. I love noodles, but veggie noodles have more flavor in my opinion and they also agree with my belly! So… You don’t peel off the fibrous outer edge? You use that part too? 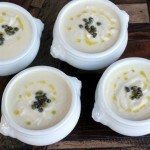 I’ll be trying this recipe this weekend, I just purchased a spiral vegi tool but haven’t used it yet. Will let you know how I did. Thanks! I’m too lazy to pour this in a blender so I’ll just keep whisking it; I don’t mind the extra little clumps. Thanks for the recipe! What is the name of the app she used? Do your meal plans have macros that change for each client? specifically the 30 day accelerated. For instance, does everyone get the same number of calories? how do you make the broccoli stem into noodles? Can’t wait to try this! I would love more spiralizer recipes! Maria, I have one of the black spiralizers that look like two cones stuck together. One of the limitations of mine is that I have to use pretty small zucchini, and a lot of times I can’t get them that small. Does they one you reference above allow for larger diameter foods? I just made this and it’s wonderful! I’m wondering though, your cookbook says 4 servings as a meal or 6 for a starter, so the nutritional info at the bottom says per serving, but what’s the serving? 4 bowls or 6 bowls? Thanks!